Bliss Merino is set for the perfect prom, she has the dress, the boy, the friends. At least she thought she was going to have the perfect night, until she sees her boyfriend making out with her best friend. 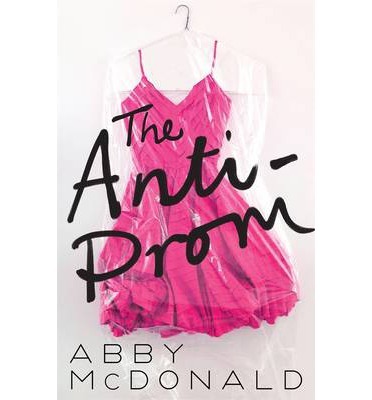 Then she hears that bad girl Jolene is at the prom and Bliss engages her help for a night of revenge. Meg, always thought she was invisible and somehow she gets swept up into Bliss’s need to get even. It turns out there is more than that on the books for in one night they rebel, party, experience romance, get revenge, and realise what they thought they wanted they didn’t. It was supposed to be one unforgettable night and it becomes one but not for the reasons they thought. Bliss is not the sort of girl I would ordinarily read about but she was fun. She got to enjoy shining moments and some not so good moments and seeing all this made her more three dimensional, more than just a cheated on pretty girl. 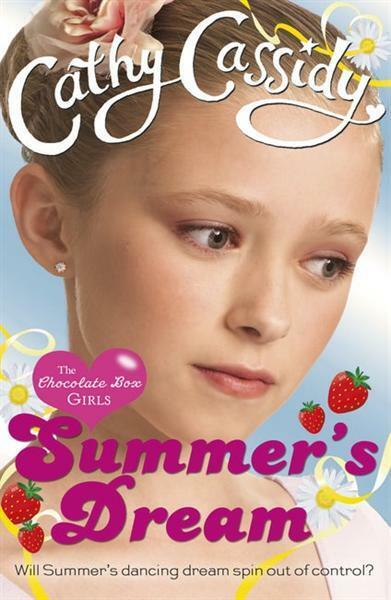 Jolene has her own problems, her bad girl reputation makes her the perfect person to turn to for help with nefarious deeds, but like Bliss Jolene has hidden corners. Meg is so reserved, she is pulled into this night reluctantly but through it she learns from both girls and has her own hidden strengths finally coming out of her shell. Sure there may be a few cliches in her but that totally doesn’t matter. McDonald has given us a thoroughly enjoyable, entertaining story. The perfect thing for a light weekend read. A child is reading when up comes a Gobbledygook. 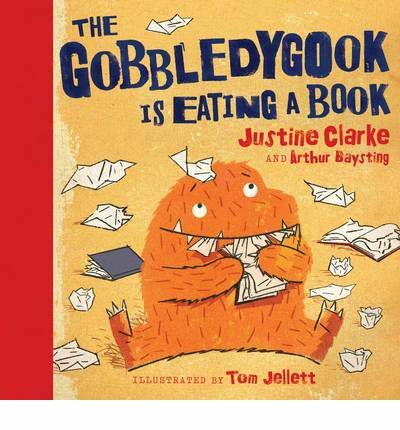 The Gobbledygook is making a mess of the books by eating them. The child tells the Gobbledygook that this is not what we do with books. The child then sets about taking the Gobbledygook on a journey through a wide selection of books. This is a very simple book with a theme close to my heart, that books are to be devoured, enjoyed and can take you to some amazing places. It finishes up in a great place for parents, with the child tucked up in bed snoring. The illustrations are fun, there are plenty of colours but the general palette is muted rather than jumping off the page with brightness. It certainly has an appeal about it. The more I look at it the more I like it. Percy and Annabeth are finally reunited and Jason returns to Camp Jupiter. The first steps are tentative but the fragile peace is quickly shattered. It is in this precarious environment that the seven start out on their new quest. They have to find Nico di Angelo, who is being held by twin giants, if they are to have a chance at preventing the rise of Gaia. The quest takes them across the path of those determined to stop them, they cannot be assisted by most of the gods as many of them have their own issues to do with split personalities. The greeks and the romans learn to work together in the face of enemies, time restraints and a coming war between their two camps. Concurrent to the overriding quest Annabeth has a very personal journey to go on. 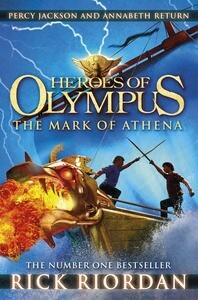 Her mother has commissioned her to follow the Mark of Athena and correct an ancient wrong. This is a task she will have to face on her own, a task all those sent before her have failed to fulfil. This is a welcome return to the world of Jason and Percy. The combination of these two characters is very interesting, two guys who are used to leading now trying to work together, the frustrations and feelings of inadequacy give their moments a great depth (as much as an action story can have depth). Every character gets the chance to excel, they all get the chance you use their particular abilities to further the quest. This quest only continues because they find a way to work together, even when things are a little confusing. In some ways Leo has the hardest time of it because he is the only one of the seven who isn’t with a partner, the other six are all couples. His story arc is interesting in a different way and the connection he has with Hazel gives that part of the story an different feel. All the characters have important parts to play and in particular Annabeth who finally gets a solo quest. This story has developed into a great ensemble piece which gives you the chance to explore all the characters. The relationships between the couples add tension as they struggle to find just a few moments to be normal teenagers. As always Riordan transports you to a place full of gods and monsters, it seems totally surreal and yet you are totally willing to be swept along for the ride. The action is fast paced, the plot skips along at a wonderful pace that ensures you are unwilling to put the book down for very long. The problem I have with these books is the wait between them. The Mark of Athena didn’t disappoint. Oh my goodness, can’t blog tonight, finally got my copy of The Mark of Athena and need to read instead. Sometimes even the extra study needs to find it’s place behind a good book. Alanna has her brand new knighthood, the very thing she toiled so long and hard for. With her big secret revealed she sets out for adventure, knowing she can’t stay at court because her being a woman makes many uncomfortable. Travelling with trusted companion,Corum, they are captured by a tribe of desert dwellers. Alanna is forced to prove herself in a duel to the death and this is just the beginning of a whole new set of trials. Facing people who have trouble accepting female warriors, Alanna unwittingly becomes the first female shaman and sets about making changes in her adoptive tribe. These changes she enacts have wide reaching consequences, not only for herself and those she trains but for her Prince and the kingdom of Tortall. All is not business though as Alanna’s suitors take things to the next level. This is a well balanced follow on to The Hand of the Goddess. This sees Alanna focus more on the magic aspect of her skills and goes a long way to Alanna becoming all she can, fully knowledgable about all her gifts. The other nice thing here is Alanna moves from student to teacher, there is a lovely scene where her students actually teach her something new. 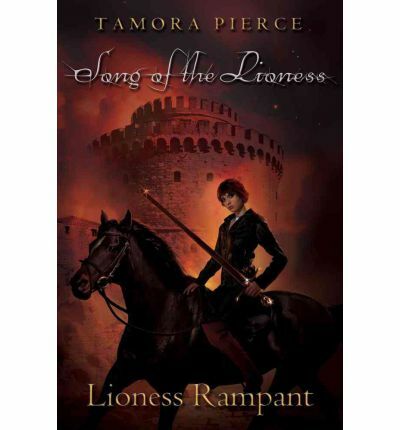 Her relationship with Sir Myles is given a beautiful few moments and adds a lovely facet to Alanna’s story. It is also good to see Alanna the woman, having to evaluate relationship and professional desires and make some hard decisions. The Voice and other new characters add another layer to Alanna an the complexity of the kingdom. They all bring something to the story and our heroine. The first two books finish one chapter of Alanna’s life and this is the first of another two book chapter, yet Pierce manages to bring strands across the divide and weaves an engrossing story that leaves you wanting more.